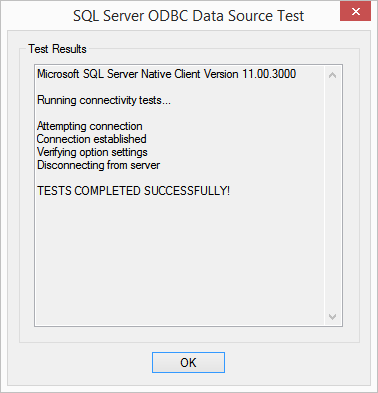 First Happy New Year and best wishes for 2015! 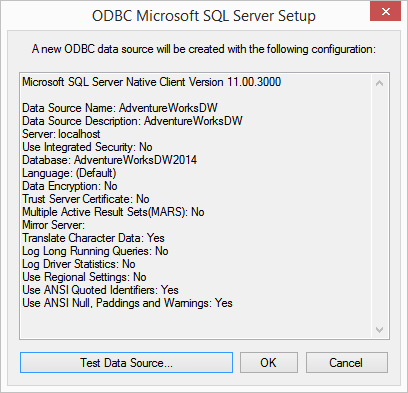 The Adventure Works DW 2014 Database which can be downloaded here https://msftdbprodsamples.codeplex.com/. 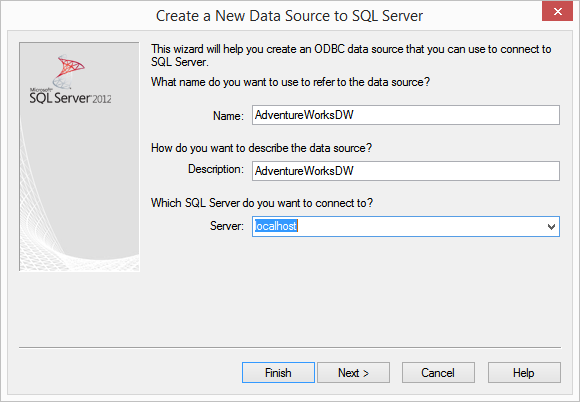 The demo (and scripts) will also work with the Adventure Works DW 2012 database. 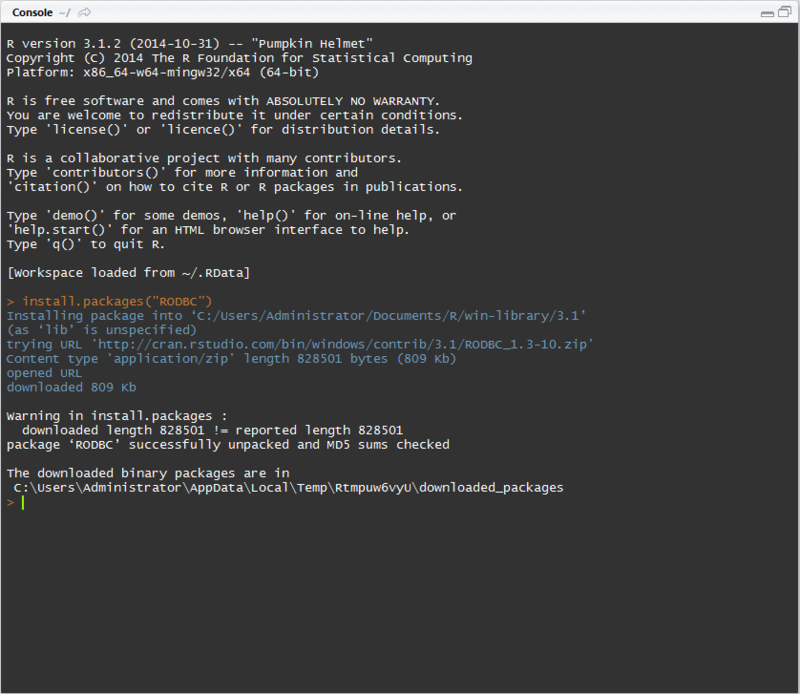 Simply type the following at the prompt in the Console window and press enter. 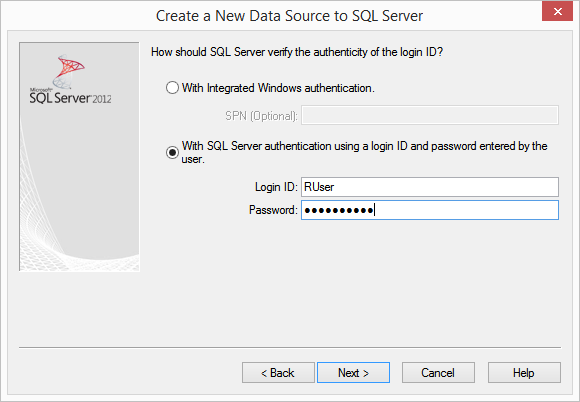 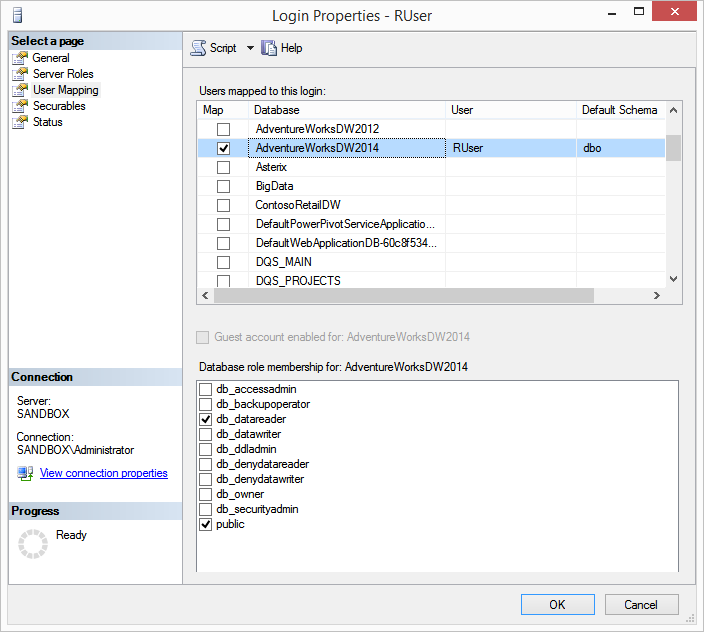 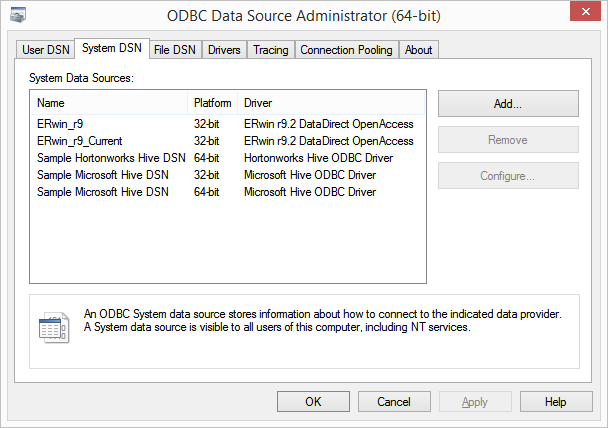 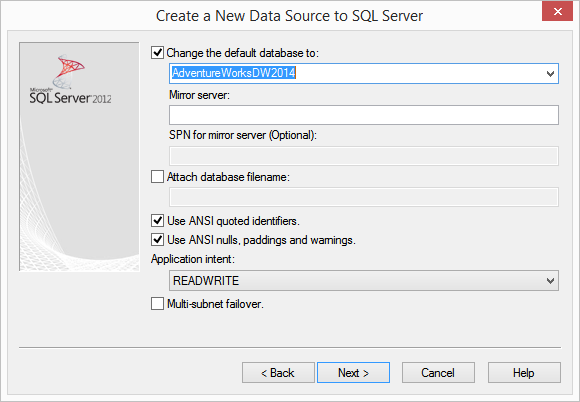 Now we need to load the RODBC package, create a connection “con” to the ODBC DSN “AdventureWorksDW” we created earlier, query the database and put the results into a data frame “df_adventureworks” and close the connection. 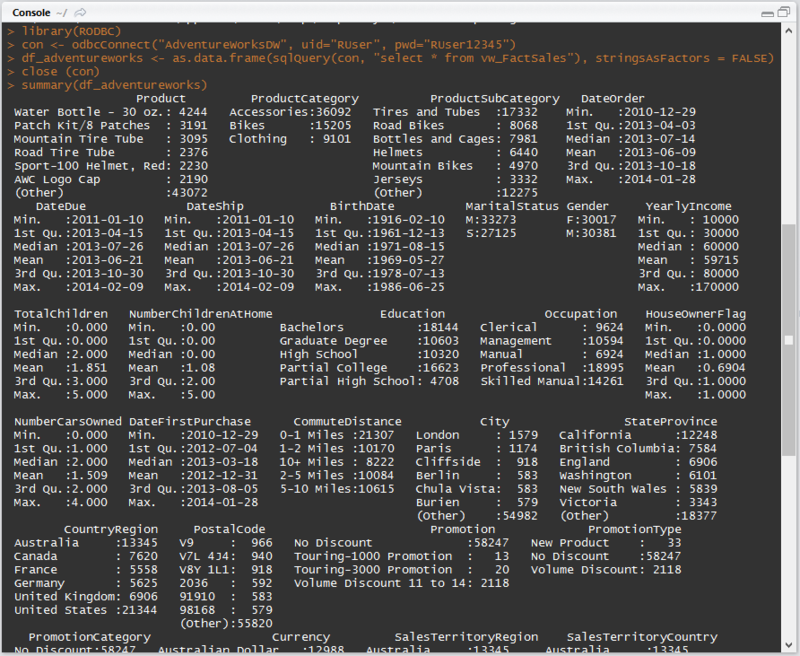 The most useful multipurpose function in R is summary(X) where X can be one of any number of objects, including datasets, variables, and linear models… just to name a few! 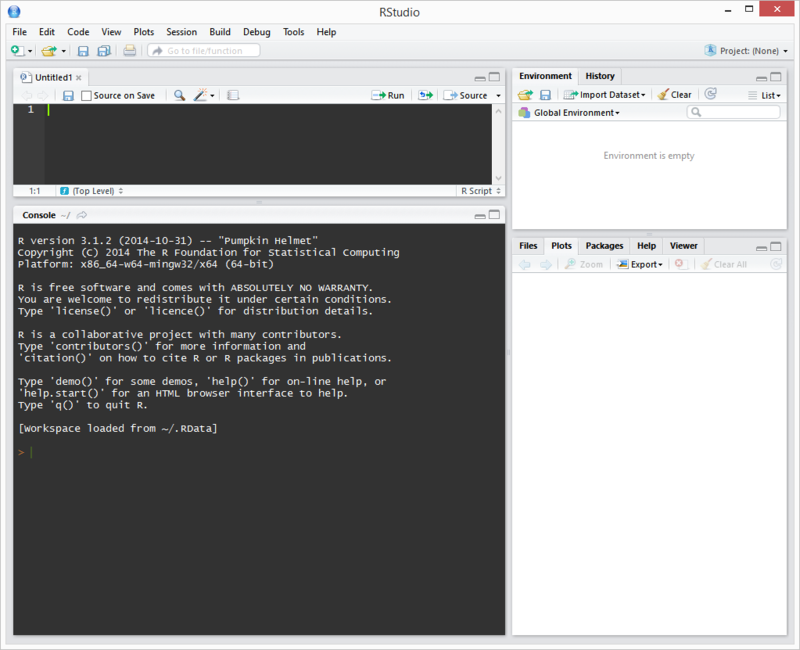 The summary function has different outputs depending on what kind of object it takes as an argument. 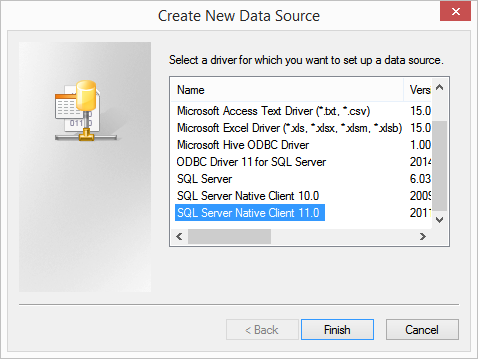 Besides being widely applicable, this method is valuable because it often provides exactly what is needed in terms of summary statistics. 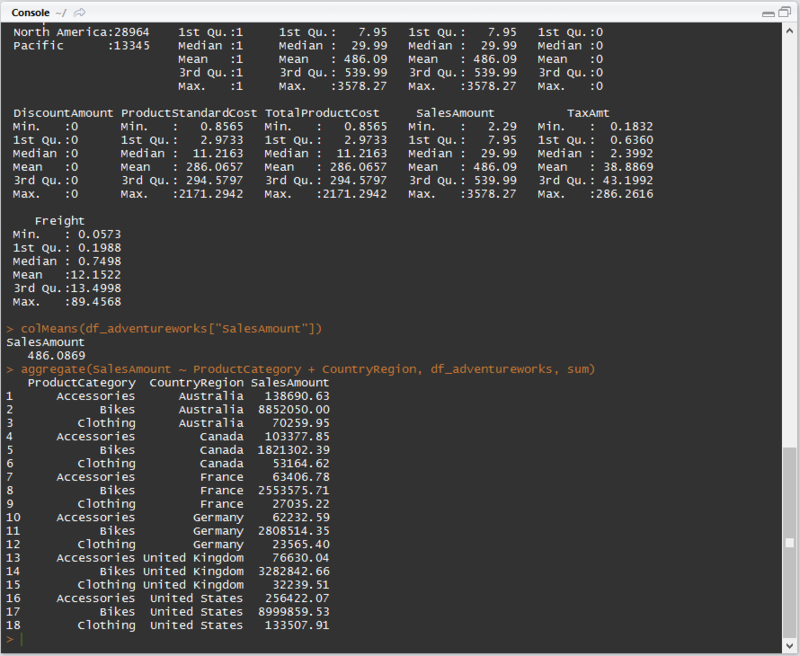 aggregate splits the data into subsets, computes summary statistics for each, and returns the result in a convenient form. 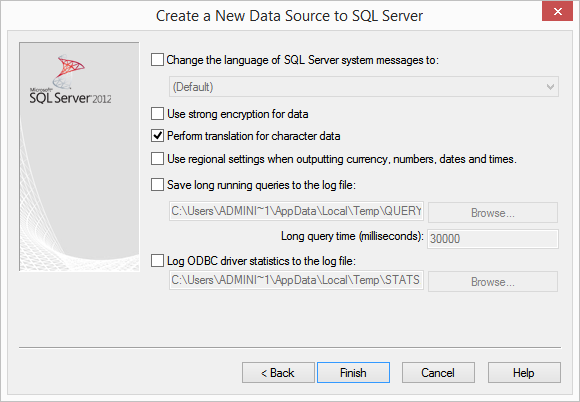 Those of you who are familiar with SQL Server will notice that this function _“aggregate(SalesAmount ~ ProductCategory + CountryRegion, data=dfadventureworks, FUN=sum)” is somewhat similar to GROUP BY and thus the following T-SQL will return the same results. 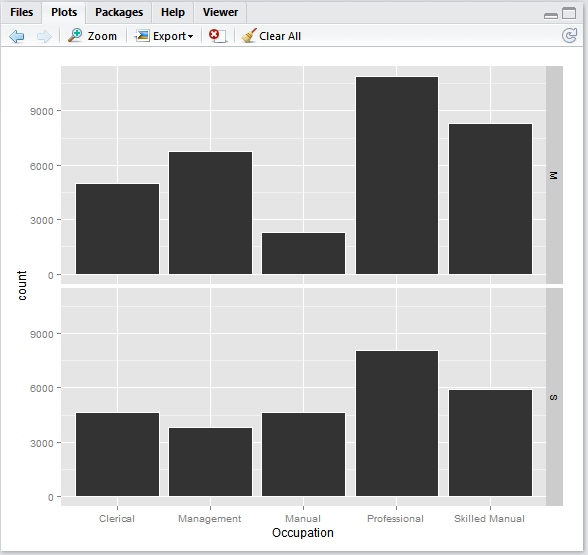 On to graphics, you can create several basic graph types like density plots, dot plots, bar charts, line charts, pie charts, boxplots and scatter plots in R, I recommend you look at the following link -> http://www.statmethods.net/graphs/index.html to get you started. 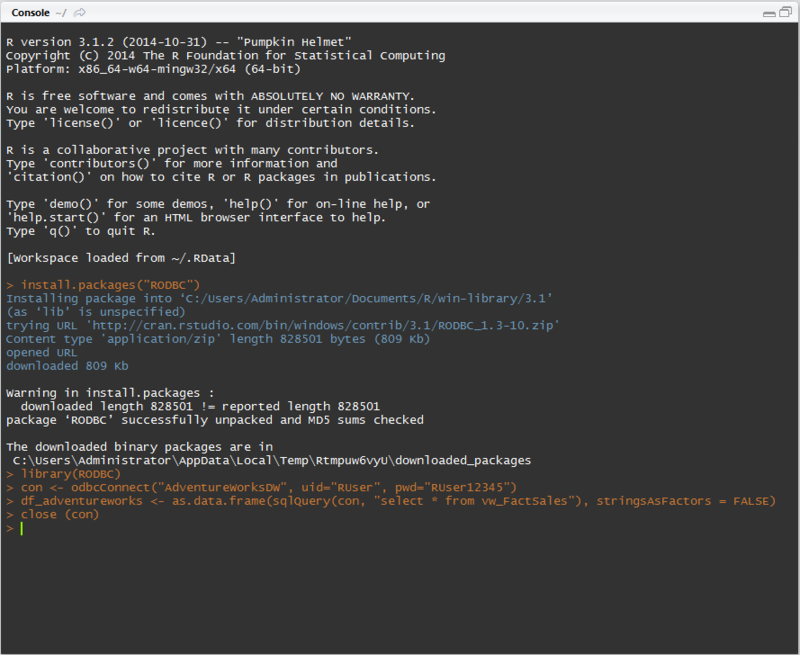 But to create advanced graphics in R one needs to install the ggplot2 package. 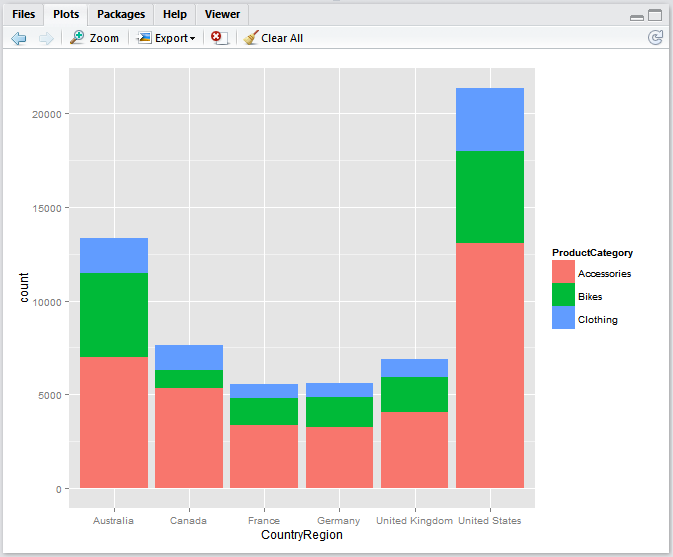 # Query the database and put the results into the data frame "df_adventureworks"
# Return aggregate sum data for "SalesAmount" grouping it by "ProductCategory" and "CountryRegion"
# Plot with count (number) of sold "ProductCategory" [Accessories, Bikes, Clothing] by "CountryRegion"
# Plots 2 separate bar plots "MaritalStatus" one for Married and other for Single with count by "Occupation"
swirl - Learn R, in R.